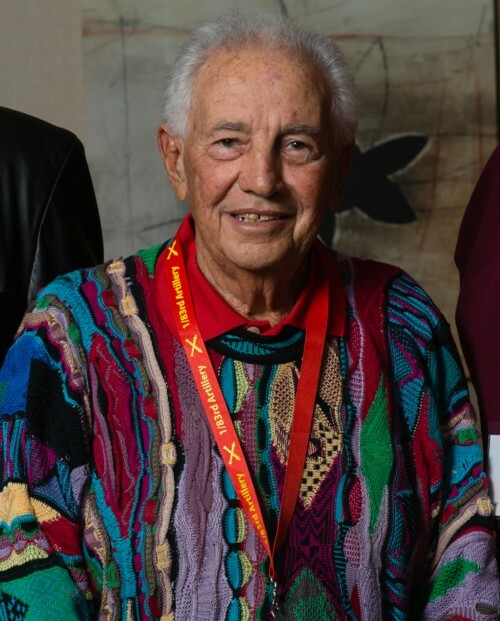 Otto Aliffi (Deceased August 6, 2016). Ottavio Anthony Aliffi, Sr. (Otto) - SAVANNAH - Ottavio Anthony Aliffi, Sr. (Otto) 84, passed away peacefully on August 6, 2016 in Hospice House, after an extended illness. He is preceded in death by his loving wife of 65 years, Margaret Gean Glynn Aliffi; his Father and Mother, Antonino and Carmilla Aliffi; his sister, Grace (Alfred); his brothers: Salvatore (Anne); Caesere (Laurie); Yano (Hazel); William; Frank; John and Joseph. He leaves four sons: Octavio Aliffi, Jr., (Betsy) of Marietta, GA; Patrick Aliffi of Guyton, GA; Joseph Aliffi (Lisa) of Pooler, GA; Christopher Aliffi (Krista), of Savannah, GA; four daughters, Toni Kirkland (Tom) of Milton, GA; Regina Scott of Atlantic Beach, FL; Grace Ray (Kyle) of Brooklet, GA and Margaret-Mary Jordan (Michael) of Guyton, GA; sisters-in-law: Virginia Castillian, LaVeda Aliffi, DeLores Aliffi, Freddie Aliffi, Patricia Black (Roger, deceased), Lucy Wickstead (Tony), Joan Bacot (Robert) and Becky Poole; 19 grandchildren: Bruce and Rosco Scott; Nicole Barry and Tommy Kirkland; Jeremy Vesely and Margaret Trusloe; Nicholas, Christopher, Megan and Margo Aliffi; Tyler, Courtney and Katelyn Powell; Devin and Haylie Forehand and Sage Jordan; Madelyn and Gabrielle Aliffi; Noah Aliffi and 2 step grandchildren, Austin and Shelby; 14 great-grandchildren and numerous nieces, nephews and cousins. Otto was born and raised in Savannah, GA. He attended Cathedral School; was a Benedictine graduate and attended the University of Maryland. He was a 21 year retired veteran of the US Army. He retired in 1973 with the rank of CW3 and a total of 24 years of service, 3 in USMC. He was a Vietnam veteran and was the recipient of the Bronze Star, Meritorious Service Medal, the Army Commendation Medal with Oak Leaf Cluster and six other military commendation medals. He later retired after 24 years from McKesson/General Medical Corporation. Otto was a member of The Italian Heritage Society, St. Patrick's Day Parade Committee and the Savannah Volunteer Guard. Otto was inducted into the 2010 class of the Greater Savannah Athletic Hall of Fame for Boxing. He boxed locally; was the 1948 Golden Gloves Champion; 1949 Southeastern Tournament of Champions Winner, 1949 Parris Island USMC Champion and the 1950 Quantico USMC Champion. His record was 132-5-1. Otto, a devout Catholic, was a member of the Cathedral of St. John the Baptist and recipient of the Bishop Gartland Service Award. Family members wish to extend their gratitude to all of those who cared for Otto during his illness. Otto's funeral will be held on Tuesday, August 9, 2016 from the Fairhaven Funeral Home, with Mass at 10 a.m. at the Cathedral of St. John the Baptist, Abercorn St., Savannah, GA. Burial will follow at the Greenwich Cemetery. Relatives and friends are invited to attend calling hours at the funeral home on Hodgson Memorial, from 5 - 7 PM A rosary will follow the calling hours at 7 PM. In lieu of flowers, donations may be made to the Cathedral of St. John the Baptist Restoration Fund. Please sign Otto's Obituary Guest Book.